Our Intensive Therapy programs consist of physical therapy, occupational therapy, and/or speech therapy programs based on your child’s needs. 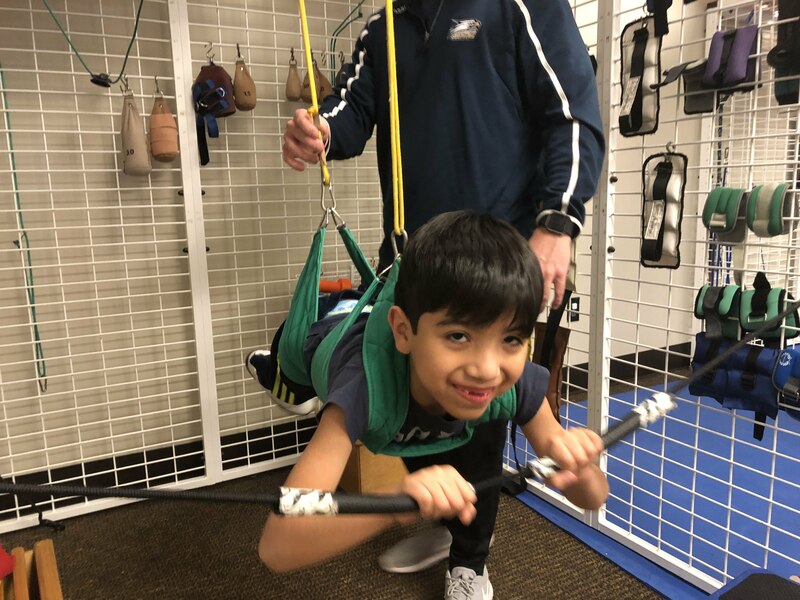 The program is designed for children with developmental disorders, primarily Cerebral Palsy, and typically consists of 3 hours of Physical Therapy and 1 hour of Occupational Therapy each day, 5 days a week for 2 or 3 weeks. We will gladly discuss your child’s needs with you and develop a program that works best for your child. Each child is provided with an individualized home exercise program with pictures of the child performing their exercises. Suit therapy utilizing the TheraSuitTM, developed by Polish Physical Therapists Izabela and Richard Koscielney, is utilized to provide improved alignment and resistance to strengthen musicles. Please visit www.suittherapy.com for further information regarding the TheraSuitTM and Universal Exercise Unit. Assisted stretching, moist heat, massage, range of motion and stretching. Using a system of pulleys and weights, active movement is facilitated with and without resistance. Balance, proprioception, coordination and vestibular training. Children develop new skills quickly throughout Intensive Therapy Sessions. Results demonstrate improvements in skills that would typically take 6 months to achieve.